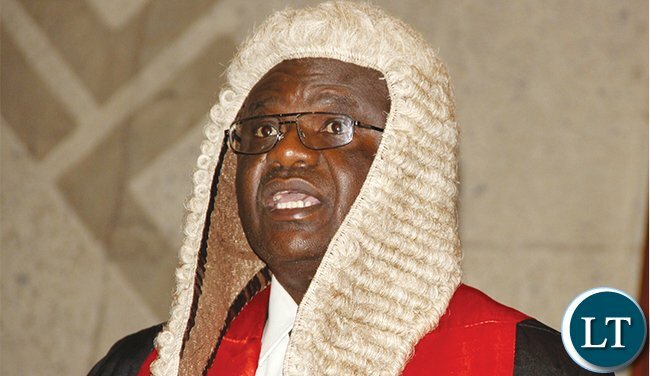 Speaker of the National Assembly Patrick Matibini says the Ministry of Health consulted the Zambia Congress of Trade Union -ZCTU – on the National Health Insurance Bill. This is contrary to assertion by the ZCTU and Mazabuka Member of parliament Garry Nkombo that the union was not consulted. Mr. Nkombo raised a point of order against Minister of health Chitalu Chilufya on the basis that a letter from ZCTU alleged that government did not consult the union on the bill. In delivered the ruling, Dr Matibini said records show that the ZCTU President attended the consultative meeting on the insurance bill. The Speaker further observed that ZCTU affiliates were part of the delegation that went to Ghana and Luanda to learn on how the insurance bill was been implemented. He said Dr. Chilufya cannot be blamed for failure by the ZCTU affiliates to inform their mother union on the consultations that were taken regarding the Health Insurance Bill. At a public discussion I attended I saw it with my own eyes and heard it with my own ears the ZCTU opposing the bill. They may have been consulted but their views were ignored. That’s how incompetent and useless upnd is. Mazoka’s team use to do professional research before issuing public statements. And to prove how useless the upnd are, the NHI is actually in their manifesto!! We have no opposition in this country. Don’t blame upnd on this consultation. It is ZCTU who said they were not consulted. Nkombo was referring to the letter written by ZCTU denying ever being consulted. At least now, we know who was telling the truth between the Minister and ZCTU. The ZCTU affiliates went to Ghana and Luanda for shopping in typical Zambian style and forgot to find how the insurance bill was being implemented! And thus they had nothing to report to their organisations when they returned to Zambia… Now they have been exposed! Comment:I always have problems with these organizations, it seems there not there to serve the people who put them in the office. just look at what happened nkombo in the house he goes in the house with half baked information about nhp, what a shame, please mps do a research before you open you mouth. But it’s in public domain that ZCTU have countless number of times refused that they were not consulted on this NHI bill and therefore do not support it in its current form. Why is matibini the PF cadre disguised as the speaker still insisting on the same.